"A Dissertation upon the Sacred Cubit of the Jews and the Cubits of several Nations: in which, from the Dimensions of the Greatest Pyramid, as taken by Mr. John Greaves, the ancient Cubit of Memphis is determined". Newton had an obsession of establishing the value of the replica rolex daytona orologi "cubit" of the ancient Egyptians. This was no mere curiosity. His Theory of Gravitation was dependent on an accurate knowledge of the circumference of the earth. The only figures he currently had were the inaccurate calculations of Eratosthenes and his followers. With these figures his theory did not work out. Newton felt that if he could find the exact length of the Egyptian "cubit",replica rolex daytona uhren this would allow him to find the exact length of their "stadium", reputed by others to bear a relation to a "geographical degree". This measurement, which he needed for his theory of gravitation, he believed to be somehow enshrined in the proportions of the Great Pyramid. Thus, he would have the necessary measurements for his Theory of Gravitation. He used the measurements of replica armani sunglasses the base of the pyramid arrived by Greaves and Burattini in his calculations. Since there was much accumulated debris at the base of the pyramid, there figures were inaccurate. Thus the false measurements of the base failed to give Newton the answer he was looking for. 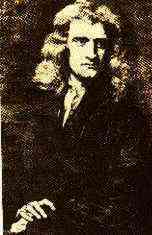 Newton did not work on his Theory of Gravitation for the next several years. In 1671, a French astronomer, Jean Picard, accurately measured a degree of latitude to be 69.1 English statute miles. Using these figures, Newton was able to announce his theory of gravitation. It is that all bodies replica rolex watches in the universe attract each other in proportion to the product of their mass and inversely proportional to the square of their distance apart. The pyramids measurements were forgotten for the time being. In the 1800's there was a revival in looking for astronomical and geophysical values enshrined in the Great Pyramid of Giza.